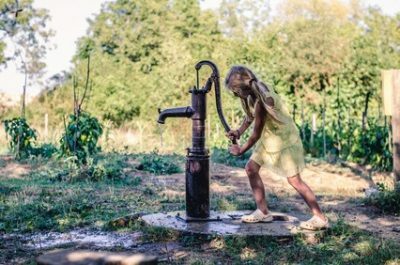 Apart from being a source of water, the best thing about a well is that it is not at all problematic. Unlike other water reserves a well requires the least amount of maintenance. Following are some expert tips on how to maintain water well the right way. If you own water well, you want to make sure that the well works properly. You need to be well aware of the basic components and the mechanism of a well. Being able to detect a fault in your well in no rocket science. Treat your well in the same way you treat your automobile. Even if you are not a qualified mechanic, you should know how to replace a flat tire or how to change the motor oil. On the same measure, with a water well you need to know a few basics and you are good to go. By now, you must have realized that maintaining a well is just like maintaining a car. With a car, you constantly fill the fuel tank and get the tires checked. If you want your well to function properly, you have to do two things. Number one, get your well disinfected on an annual basis. Damp places are breeding grounds for harmful bacteria. Getting you well disinfected will prevent bacteria from finding its way in. Secondly, every two or three years get your well completely inspected. It is better to get rid of small issues before they get big. It is always good to be self reliant. Being a handyman you can get a lot of things on your own and you don’t even need to ask around for help. But when it comes to water well, remember it contains the water that you drink. Yours and your family’s health is directly dependent on this water. Never try to tackle major water well issues on your own. The best that you can do is to consult a professional water well repair service provider. It is good to be economical and save money. But if you compromise the safety of your water just to save money, it will cost you a lot more a few years down the road. You must have heard the much clichéd phrase,” Prevention is better than cure”. Up till now we have been talking about ways to maintain your water well. Oftentimes we tend to ignore the slightest abnormalities with our water wells. Cloudy or smelly water, slow water flow and weird noises are things that shouldn’t be taken lightly. The moment you realize, something is wrong call a water well repair service provider immediately. If you want to avoid the slightest issues with your water well, make sure to follow the above mentioned tips promptly. 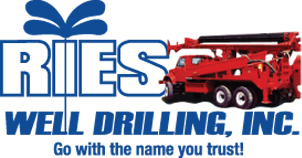 Give Ries Well Drilling Inc a call to answer any questions you may have regarding your water well maintenance. We can be reached at (586) 784-9516!